Justine Miles used to dance with The Australian Ballet. Now, as a teacher for our Studios program, she’s passing on her knowledge to our Adult Ballet students. We sat down with her to find out what she loves about teaching, and what taking ballet classes can do for you. Ladies and gents of all ages and all standards, from complete beginners to advanced; we get former professional dancers, dancers who learnt as a child then gave it up and now want to revisit the joy they found in dance when they were young, and friends that enjoy the social aspect of doing something they enjoy together. We start at the barre, warming up gently from pliés through to grand battlements, then progress to centre work with adagio, tendus, fondues and pirouettes, then we move on to waltzes and corner work. We could finish up with petit allegro and big jumps, depending on the level of class. We talk about terminology, execution, the quality of the steps and the musicality. We often talk to our pianist about the music and the timing. What are the differences between the three levels of ballet offered in the Studios program? In the Beginner classes we take it very slowly, learning each of the basic steps in order of their importance and executing each step with care and coordination. We do barre, centre work and a few small basic jumps. We talk about quality and the feeling behind the steps, and why we need them as dancers. Level 1 classes are a progression from Beginner; most people have the basic principles under their belt by now, so the exercises get a little bit more complicated, with some new steps added for challenge, but always referring back to the basics. Level 3 is pretty much a professional-level class, similar to what you would do in a professional ballet company, starting from barre right through to grand allegro. There's always something in it to challenge us mentally and physically and often we'll have a good laugh or a chat about dance. What do you love about teaching at Studios? I love the atmosphere in the studio from the start to the finish. I love passing on my knowledge of dance, watching the participants conquer new challenges and accomplish the smallest of steps; I love sharing the joy of dance through the steps and the music. I like the bond teaching creates with each individual participant and sharing in their progress. What are the physical benefits for the average person? There are many, including an increased awareness of your body and muscles; bone health; better coordination, flexibility, muscle memory and strength; joint mobility; strengthened and toned muscles and ligaments; improved posture; and a feeling of great wellbeing! 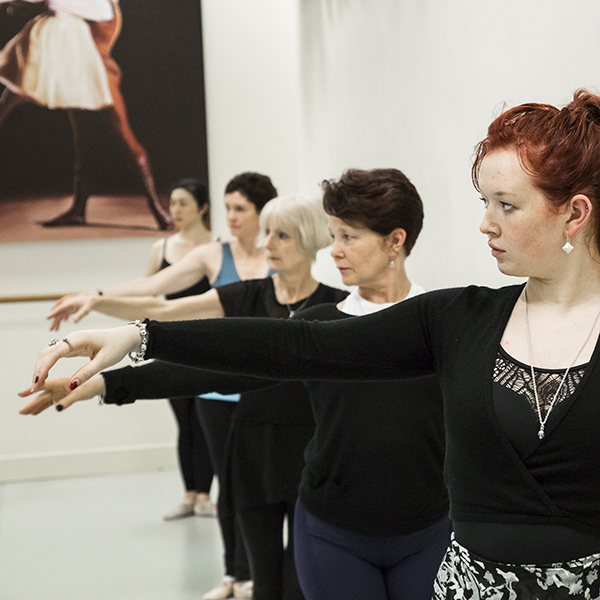 Why should people take class at The Australian Ballet's studios? They are world-class, large, fully equipped studios and the classes have live piano accompaniment. It's easy to enrol and pay. There's a friendly welcoming environment, with enthusiastic staff and great teachers. Its a great way to meet people, make new friends and share a common interest. How important is having a pianist play live for your ballet class? Live piano completes the professional environment. It helps the teachers and participants to work at the desired level and pace of the class, it allows the participants to experience exactly how a ballet class in a company operates, and it gives them the chance to dance to numerous tempi and styles of music, and to discuss their origins. It just assists immeasurably with the quality and feel of the class. The participants can learn to feel the steps through the music.